Sign up for free and just shop with FirstCry as normal. Our average member earns over ₹5900 cashback a year. Firstcry is Asia’s largest online shopping portal dedicated to newborns, infants and small children with well over 2000 international and Indian brands on their rooster including Mattel, Ben10, Pigeon, Funskool, Hotwheels, Nuby and more. The objective of the portal is to offer world-class service to the parents and first class service to their little munchkins. Established back in the year 2010, the company is a leading force in the online shopping industry for babies and mothers with more than 2 Lac products. The company also has physical stores all over India and products can be collected directly from the store after purchasing on the website. Making the hardest part of a mother very easy by one click, all thanks goes to the Asia's Largest Online Portal for Baby and Kids Products FirstCry. FirstCry gives you the option to choose a product of your choice from around 2 lakh products from over 2000 international and Indian brands listed on the website. The website promises you the quality and best products/brands at the lowest prices with free delivery. Yes, FirstCry offers a free delivery option for a great shopping experience. FirstCry provides the platform to buy all baby and kids product ranging from clothes, footwear, toys, books, diapers, feeding and nursery, bath and skin, health and safety, Baby gear and nursery, to moms and maternity. Want to know more about FirstCry offers? TopCashback got you covered with the latest offers and cashback deals on Firstcry. Enjoy unlimited collections of incredible baby products at the most affordable prices. Clothing: Do a complete baby shopping with Firstcry and buy clothing for all occasions. The beautiful clothes ranging from suits, tops, Frocks, skirts, nightwear, ethnic wear to sweaters and much more. Check out the shop by age and shop by the brand option to buy the perfect fit and comfort apparel for your kid. Footwear: FirstCry has a stunning collection of footwear according to the age option for both girl and boy babies. You can find the amazing footwear ranging from Booties, Casual Shoes, Sandals, Sneakers & Sports Shoes, Bellies & Peep to Toes Formal & Party Wear, Rain Boots / Gumboots, Slippers / Flip Flops, Mojaris / Ethnic Footwear in different brands. Health and Safety: It's always good to go with the trusted brand when it comes to your baby’s health care. FirstCry is having a good collection of health and safety products from trusted brands varying from Cleansers & Detergents, Oral Care Medical Care, Childproofing & Safety to Mosquito Repellents & Care. Feeding and Nursing: FirstCry gives you the best feeding and nursing products for your babies to make them strong and healthy with lots of love. Visit firstcry.com via TopCashback and shop the best quality food and accessories for your baby from the finest collections including Breastfeeding, Baby Food & Infant Formula, Bottles & Accessories, Bottle Cleaning & Sterilization, Sippers & Cups, Dishes & Utensils to Kids Food & Nutritional Supplements, Bibs & Hanky, Teethers & Soothers, Maternity Accessories. Bath and Skin: Give your child the best bathing experience with the top branded quality bathing and skin care products from FirstCry. The website is having a wide range of essentials products ranging from Lotions, Oils & Powders, Soaps, Shampoos & Body Wash, Baby Creams & Ointments, Bathing Accessories, Bath Towels & Robes to Bath Toys and Grooming products. 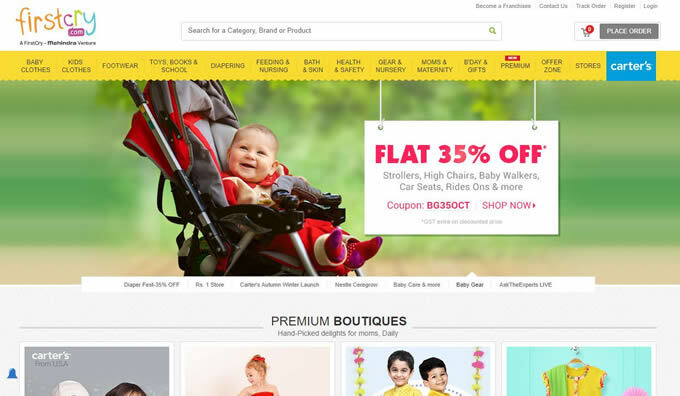 FirstCry gives you the platform to shop for everything for your baby at one click. So, don’t wait anymore. Do your complete baby shopping for this Diwali at an affordable price to give your baby a much comfortable life. Baby Clothing: Browse through the collection of baby clothes on Firstcry. Choose frocks, onesies, shirts, jeans, socks, sweaters and themed costumes that will make your baby look adorable. You can shop for preemies to 9-month-olds. 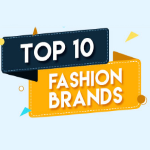 You can also check out clothes for toddlers from top brands including Babyhug, Mothercare, Chhota Bheem and more. Footwear: Check out the largest collection of footwear for babies and kids including booties, sandals, slippers, clogs, bellies, sneakers and much more. Select the material you prefer for your child like rubber, canvas, fabric, suede and synthetic. On Firstcry, shoes are available from popular brands including Liberty, Crocs, Kittens, Puma Kids, Action and much more. While you’re at it don’t forget to use TopCashback Firstcry deals today and shop for the lowest possible prices. Personal Care & Hygiene: Protect your child by choosing from a myriad of personal care items including baby friendly soaps, shampoos, body washes, bathroom sets, mats, shower caps, sponges, creams, lotions, and powders. You can also shop for health products like medicines, toothpaste, toothbrushes, mosquito repellents and more. Diapers & Food: Everything you need to keep your baby clean and healthy is available here at the lowest prices. Browse through Firstcry for diapers, baby wipes, diaper bags, potty training essentials, diaper rash creams and much more. Firstcry diapers offer to ensure that you get the lowest prices. Choose from the largest brands including Pampers, Huggies, Libero, Himalaya and Mamy Poko Pants. You can also shop for feeding products such as breast pumps, bottles, sippers and more. You can shop for the cheapest baby wipes here by making use of the Firstcry promo code on TopCashback. Baby Accessories: Get the best quality baby gear and baby walkers online from top brands including Infanto, Lollipop Lane, Chicco, Graco, and Toyzone. Shop for carrier cots, prams, bouncers, rockers, swings, walkers, high chairs and much more. You can also decorate your baby’s nursery with the most adorable room décor products including cribs, cradles, bassinets, study tables, storage boxes, wardrobes, beds and inflatable chairs. Use Firstcry Paytm offers in order to shop at exciting prices. Toys, School, and Books: Firstcry carries an exciting range of toys for children of all ages. From rattles and tethers to gaming consoles, you can shop for a wide variety. Get the best brands like Funskool and Fisher Price. You can also look for books, stationery and other school supplies like bags, pencil cases, computer accessories, water bottles and more. Shop through TopCashback to earn more on every purchase! Because we care about your savings and finances. Every rupee saved is a rupee earned and with TopCashback you have the option of saving many rupees on your every purchase that you may redeem directly to your bank account, Paytm or Amazon Pay Balance wallet and use them for future transactions and the best part is we are a free to join and free to use website! To know more about how cashback works, check out our really cool TopCashback Blog article here!. Discount Offers: Get Firstcry exclusive discounts and enjoy unlimited savings via TopCashback. Referral Bonus: Tell a friend a referral program which gives you and your friend the referral bonus when you refer your friends to join TopCashback by the referral link. The best part is that you can transfer the referral bonus money to your Digital wallets like Amazon pay. Paytm wallet or even you can withdraw the payment via NEFT bank transfer. Cashback Notifier: A browser extension which will notify you about the TCB cashback offers whenever you visit any of the merchant websites. 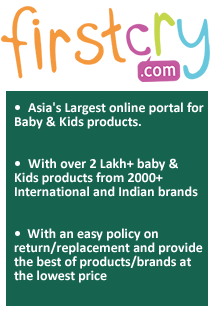 Firstcry is Asia's Largest online shopping portal for babies, children and new parents. Customers can choose for the product of their choice from over 2 Lac products from over 2000 international and Indian brands listed on the website. Firstcry aims to deliver a world-class experience to all it's customers in terms of both product and delivery.